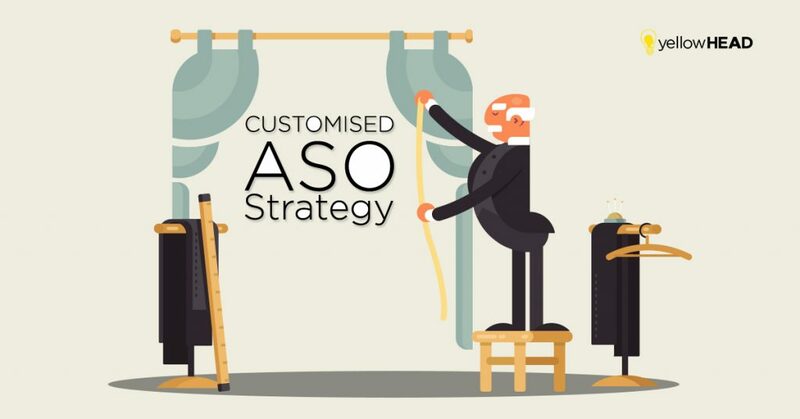 ASO is not a one-size-fits-all strategy that will achieve the same results for all apps. As an international leader in ASO services, at yellowHEAD we are familiar with the industry benchmarks for ASO for a wide variety of apps – big brands, small start-ups and everything in between. The potential lift that ASO can bring to organic installs depends on so many factors, that it’s important to have the right expectations as the base for the right strategy. We are often asked how long it will take to “achieve results” with ASO, which begs the question – have you realistically defined what results you hope to see? Developers often overlook this defining phase when considering ASO. So, here are some tips on how to realistically define expectations and map out an appropriate strategy to help grow your app. The first step in yellowHEAD’s ASO process is to get to know the app in the context of its vertical. What is the overall marketing plan and timeline? Which apps are realistic competitors? How do the paid/organic installs compare to the big competitors in the industry? What are the main markets currently? Are there new geos worthwhile targeting? What is the ratio of installs-to-reviews? Installs-to-ratings? Positive-to-negative? What is the current CVR compared to the benchmarks in the category? These are just a few examples that shed light on the strength of the app. We recommend asking members of different teams to fill out a questionnaire and discussing the answers, to get a more objective assessment. The Google Play Store and the iOS App Store use very different yet complex criteria in their algorithms to determine how visible an app should be in their store. If you’re new to ASO, try to learn the basic theories behind the algorithms, the Best Practices, and the tools available to you in each store (check out our ASO blog posts to stay updated!). It is widely known that the quality of the app has a huge impact on how well it will rank for targeted keywords, especially in Google Play. Anything from crash rates to file size to consistency of install trends can have an impact on your keyword rankings and search visibility. This is where the evaluation you did in #1 above will be helpful. Remember also that keyword rankings are relative to the other apps in the store. If your app fell from 4th to 5th position for a keyword, it means another app took that 4th position. If that other app is viewed by the algorithm as even slightly stronger or better, it will rise. Your app falling can be the result of what your competitors are doing better, rather than something you’re doing wrong. Two very similar apps can have the exact same ASO strategy, but if one has a sudden increase in installs (let’s say from being Featured), it will rise in the ranks, pushing the other app down as a result. Now that you have an idea how competitive the market is and where the strengths and weaknesses of your app lie in the context of the market, let’s talk expectations. A new casino app by an unknown developer with no Paid Acquisition activity will not rank in the top 20 for a highly-competitive keyword like SLOTS, no matter how heavily the keyword is targeted. This will be true for any vertical and its main keywords. Check the current apps ranked in the top 20 positions for any high-traffic keyword and ask yourself if you see them dropping out of that range any time soon – because that’s what would have to happen to make way for yours (and a hundred others like yours). Picture a packed bus of passengers at a bus stop, and the crowd pushing outside to board. Even if one passenger steps off, there’s little chance for the crowd to get on. So, be smart. Do thorough research about the keywords that are relevant to your app and the needs the app satisfies. Target keywords with a range of traffic scores. Even if the app is strong, lower traffic scores are still important to target. If your app is a newbie with minimal buzz, those longer-tail, lower-traffic keywords are the realistic targets. Localize your listings for other languages – these are generally less competitive, but you still need to match your expectations with the evaluations you did in #1 & 2 above. ASO improves your visibility in the store and works to optimize conversion by testing graphics, short descriptions and other assets that help convert app page visitors. If you rank higher for more keywords and become more visible in the store, it stands to reason that you will convert some of the users who find you in search results. How many? It’s nearly impossible to quantify since nobody knows which ranking positions for which keywords brought which users. Although Google Play has started to release some of the data with its new tool on the Developer Console, it will take some time and more analysis before this data can be used predictively. Any ASO service that promises a specific amount of new organic installs (% or numerical) from their work is not being transparent. ASO boosts your installs in the context of a greater marketing plan, so it’s hard to appraise how much of a lift it will drive. That said, use it! ASO done right means you’re maximizing its full potential for bringing organic installs. There are few metrics that can conclusively prove that ASO “worked”. The definitive ASO KPIs you can track are keyword rankings and conversion rates. If these are looking up, you’re on the right path and you should be seeing some improvement in organic installs, though not necessarily immediately. Keep in mind that this may be expressed in a less obvious way – check your paid-organic ratios. If your paid budgets decreased, your organics may have followed the trend, but at a less drastic rate, indicating a much stronger position for organic installs than might have been in the past. Your app is your beloved baby but try to be objective about its chances of making it to the top in every metric. Remember the competition is stiff out there, so know your industry and its difficulties. Understand how ASO works so you can find the keywords that suit the potential of the app. Targeting is a strategy that needs to be realistic. Remember also that ASO should be ongoing for the best results long-term. Track everything, but with a grain of salt. Keyword rankings and conversion rates are your main metrics for measuring ASO effectiveness, but even these should be considered in the context of the greater marketing plan. We’ll be happy to help you establish realistic expectations for your app and strategize the best way to achieve those expectations using ASO. Contact us!